Stroke, a personal story of Life and Death. by Douglas Skinner • May 8, 2017 • Comments Off on Stroke, a personal story of Life and Death. According to the American Stoke Association, about 795,000 Americans each year suffer a new or recurrent stroke. That means, on average, a stroke occurs every 40 seconds. Nearly 2 million brain cells die each minute a stroke goes untreated (ASA, 2017). Stroke kills nearly 129,000 people a year. It is the number five (5) cause of death. May is Stroke Awareness Month. In August of 2015 SCS’s owners had an experience dealing with Stroke. Stacy Skinner our President who is a business owner, safety consultant, educator, wife, mother, and now a stroke survivor, had a severe and acute Stroke. Sunday August 23, 2015 started out as a typical weekend day, grocery shopping, laundry, and cleaning was on Stacy’s agenda, or so we all thought. Doug Skinner, Stacy’s husband and business partner, was finishing preparing breakfast when Stacy came into the kitchen. She was preparing cleaning supplies. She was actually pouring vinegar into a spray bottle when she dropped the spray jug on the floor. Doug, looked over and said, what the heck happened, to which Stacy replied nothing, then slurring “I just dropped the bottle”. Stacy proceeded to grab paper towels to clean up the spilled vinegar. Stacy bent over with the towels a couple times, but when she came up the second time, Doug looked at her and noticed a few irregularities. “What is wrong with you?” Doug said. Stacy’s reply in a slurring manner, stated “Nothing”. Doug said, “Yes there is, you are drooling and slurring your words.” Stacy said, “I’m fine, leave me alone.” In return Doug said, “No there is something wrong with you.” By this time Stacy was not steady on her feet, and fell into the counter to help prop herself up. She thought it was because of the matt she was standing on, but little did she realize that her left leg was not holding her up. Doug, a trained Paramedic of over 30 years, realized she was in trouble and grabbed her, and tried to help her to a chair, but then laid her on the floor, because she couldn’t stay sitting upright. Doug, kept saying you are having a stroke. Your face is drooping. Stacy, with slurred speech, kept saying I am fine. Doug picked the phone up to call 9-1-1 for an ambulance. Stacy remembers telling him that if he calls the ambulance that she knew her patient rights, and that she did not have to go to the hospital and she could sign a waiver. Doug said, “You are slurring your speech. You sound like a drunk. You are having a stroke.” Doug asked Stacy to move her arms, which she could not move her left arm, but she thought she was moving both arms fully. Stacy’s mind was tricking her. In her head, her speech was fine, but she could not recognize her own signs or symptoms. She thought she was fine. This is a typical sign of someone having a neurological insult or stroke. Although, Stacy felt she was fine, she quickly realized when the EMS units arrived from Loudoun County Volunteer Rescue Squad that Doug was right, and she was having a serious stroke with left sided paralysis. Stacy was taken to the INOVA Cornwall Hospital and was given a Cat-Scan and then treated in the emergency department with TPA, tissue plasminogen activator or clot buster. Within 15 minutes Stacy’s left arm and leg was moving and she had less slurring of her speech. After that Stacy was moved to the Intensive Care Unit for two days, then a day or two in the step down unit, then sent home on oral medications and follow-up care with her primary care and specialized doctors. So how is Stacy doing today? She is doing great! Stacy says she was blessed. Because of Doug recognizing the signs of the stroke, calling 9-1-1 immediately, the quick response of the Loudoun County Volunteer Rescue Squad, and the quick care the hospital staff provided, she has not suffered any deficits. Stacy is here to tell you that if it was not for the quick actions and recognition of the signs of a stroke by her husband and partner, she may not be here today to continue on with life, the business and tell this story. Not all survivors have the same recovery. As stated before some die, but many others have disabling neurological deficits that change people lives. Remember….Time is of the essence. One in three Americans are unable to identify all the F.A.S.T. stroke-warning signs. Do you know what they are? F = Face Drooping – is one side of their face drooping? Ask them to smile. Do both sides of their mouth rise equally? A = Arms – Ask the person to raise both arms. Did both arms raise to the same height? S = Speech – Ask the person to talk to you. Are they hard to understand? Are they slurring their speech? T = Time – Time to call 9-1-1. If someone shows any of these symptoms, even if the symptoms go away, call 9-1-1 and get the person to the hospital immediately. Check the time so you know when the first symptoms started. 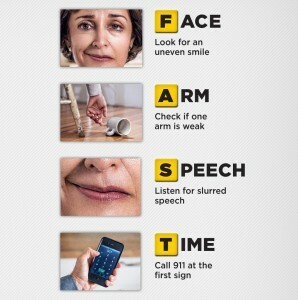 How can you learn more about Stroke? Our company SCS Safety Health & Security Associates LLC offers monthly CPR/AED and Basic First Aid certification courses. Check out our classes and to register, click on this link. You can also find more information on the Stroke Association website. SCS Safety Health & Security Associates LLC works with businesses to help keep their employees safe, lower workers compensation and fleet / auto insurance policy premiums. 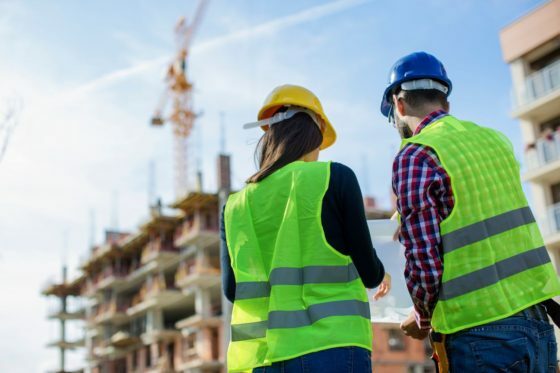 In addition, they help to get a company safety compliant by conducting job site safety inspections, developing written safety programs, and conducting safety meetings. In addition, they offer OSHA 10 and 30 hr. courses, for the construction industry. If your employees need CPR/AED, Basic First Aid, and or Blood-borne Pathogen certification, they can handle that too. What is the benefit of having SCS Safety Health & Security Associates work with your company to increase safety? We bring over 20 years of experience in safety. We prefer to build a relationship with our clients, so that they come to us as a resource. Hiring SCS Safety Health & Security Associates does not require the overhead, salary, or benefits that may be required with traditional employment. For more information, please contact us at 703-779-7330. ← Help Stop Distracted Driving.